Bubble Coco Team’s new bubble shooting adventure, Buggle 2! Shoot the bubbles to pop the target and get sweet honey! Adorable baby bear Andrew really loves honey! One day, the evil Queen Bee appeared and stole all of Andrew’s honey! 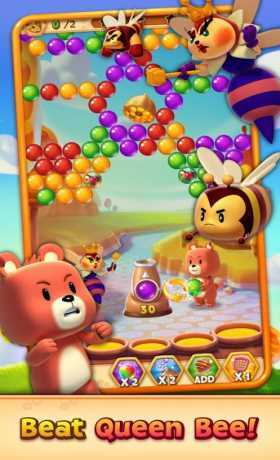 In a land of fantastic adventure, pop the bubbles as many as possible with Andrew and defeat the Queen Bee! 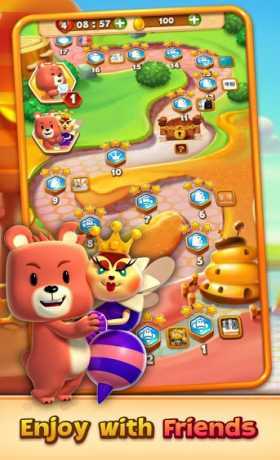 Clear the levels and bring honey back to Andrew and his friends. 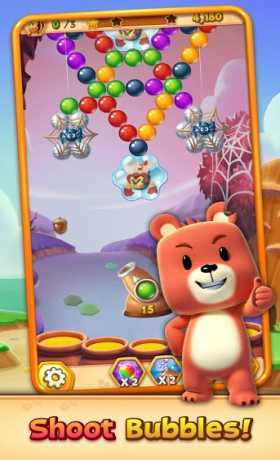 Take on this alone or play with friends to see who can get the highest score!